Tennessee, an inland state lying in the east south-central part of the United States, bounded on the west by the Mississippi River. The Unaka Mountain Range of the Blue Ridge traverses the eastern section of the state in a southeasterly direction. The population was largely rural in the 1950s, but the Tennessee Valley Authority encouraged the building of large plants by the Aluminum Corporation of America and a rural electrification system that revolutionized the state's economy. The state became the home of an Amish and a Mennonite settlement during the closing decades of the 19th century. In 1872 the Amish bishop, John Stoltzfus, of Lancaster County, Pennsylvania, with five of his children and their families, founded a congregation near Concord in the southwestern part of Knox County. Another settlement (now extinct) of Amish and Mennonites sprang up about 1890 near McEwen in Dickson County about 40 miles (70 km) west of Nashville. The Concord congregation declined after the death of its founder, several families uniting with the Plymouth Brethren in Knoxville. With a new influx of both Amish and Mennonites after 1884 the membership grew to over 100. A decline set in after the Amish element in the congregation repeatedly voted against conference affiliation. The district mission board of the Virginia Mennonite Conference sponsored the 1958 membership of 11. The same board sponsored the Mennonite Gospel Mission in Knoxville, membership 37. The Ohio and Eastern Conference (MC) maintained two mission stations in the northeastern corner of the state at Shauns and Indian Springs, and two others just across the border near Lansing and Grayson, North Carolina. In 1923-1956 the Krimmer Mennonite Brethren maintained a congregation at Shell Creek, Carter County, in the extreme northeastern corner of the state across the North Carolina line, where the conference has a congregation in Watauga County. About 1934 Robert F. Sherrard, a Defenseless Mennonite residing at Gibsonburg, Ohio, founded a mission at Smithville, DeKalb County, near the geographical center of the state. The Evangelical Mennonite Conference in 1956 reported 54 members in four congregations in this and adjoining counties served by ministers in Smithville and McMinnville. Horsch, James E., ed. Mennonite Yearbook and Directory. Scottdale: Mennonite Publishing House (1988-89): 41-42. Luthy, David. Amish Settlements Across America. Aylmer, ON: Pathway, 1985: 2, 12. Wittlinger, Carlton O. Quest for Piety and Obedience: The Story of the Brethren in Christ. Nappanee, IN: Evangel Press, 1978: 452. Umble, John S. and Reynold Sawatzky. "Tennessee (USA)." Global Anabaptist Mennonite Encyclopedia Online. 1989. Web. 23 Apr 2019. http://gameo.org/index.php?title=Tennessee_(USA)&oldid=122081. Umble, John S. and Reynold Sawatzky. (1989). Tennessee (USA). Global Anabaptist Mennonite Encyclopedia Online. 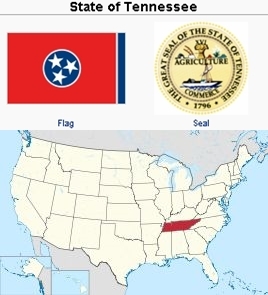 Retrieved 23 April 2019, from http://gameo.org/index.php?title=Tennessee_(USA)&oldid=122081. Adapted by permission of Herald Press, Harrisonburg, Virginia, from Mennonite Encyclopedia, Vol. 4, pp. 694-695; vol. 5, p. 878. All rights reserved. This page was last modified on 12 May 2014, at 19:22.